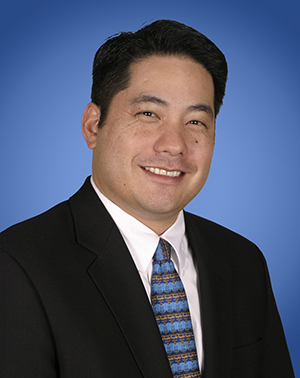 Darren C. Kameya is a Partner in Lozano Smith's Los Angeles office and is the co-chair of the firm's Investigations practice area. For many years, Mr. Kameya has advised school district clients in both the northern and southern California regions. Mr. Kameya's legal experience includes labor and employment matters and extends to issues of board governance, public meetings laws, charter schools, facilities use agreements, student rights and discipline, tort liability, insurance coverage issues, public records and privacy rights. Mr. Kameya's background covers other public agencies as well, including cities and special districts. As a litigator, Mr. Kameya has represented clients in federal and state courts, including representation of the City of Carson during trial and on appeal in a published case involving public financing issues. City of Carson v. City of La Mirada (2004) 125 Cal.App.4th 532. Mr. Kameya's day-to-day expertise lies in providing counsel to school districts on labor and employment issues. He advises superintendents and their cabinet members regarding individual employee discipline and dismissals, leaves and benefits, compensation, reductions in force and privacy rights. He has represented districts before hearing officers in classified discipline hearings, before commissions on professional competence in teacher discipline hearings, and before arbitrators in contract disputes. Human resource administrators frequently seek Mr. Kameya's assistance when defending against a DFEH Complaint or an EEOC Charge of Discrimination, responding to a contract grievance, or complying with the district's public complaint procedures. Mr. Kameya has negotiated superintendent and cabinet position multi-year contracts and buyouts on behalf of school boards. Mr. Kameya is also an expert in public sector labor relations. He advises school administrators on handling contract grievances from the Level I response to the Level IV arbitration. Mr. Kameya is called upon to advise districts regarding the EERA and alleged unfair labor practice charges, and has successfully defended against union charges before PERB. Mr. Kameya sits at the negotiating table as the chief negotiator for some clients and provides advice during collective bargaining for other districts. Mr. Kameya has also served as lead attorney regarding management, certificated and classified employee layoffs. Mr. Kameya has lectured at educational conferences and other gatherings, including California School Boards Association (CSBA), Community College League of California (CCLC), Association of California School Administrators (ACSA), California Latino School Board Members Association (CLSBA), School Employers Association of California (SEAC), Leadership Association for Asian Pacifics (LEAP) and the Center for Collaborative Solutions (CCS). Mr. Kameya earned a B.A. in Political Science from UCLA and his J.D. from Fordham Law School. During a visiting year, Mr. Kameya served as a Senior Articles Editor for the UC Davis Journal of International Law and Policy. Mr. Kameya serves as a pro bono arbitrator and mediator for the Los Angeles Superior Court and volunteers for UCLA in various capacities. Mr. Kameya is a member of the District of Columbia Bar, is a licensed California Real Estate Broker, and is a member of the California Association of Workplace Investigators. When is Paid Administrative Leave an Adverse Employment Action?